Once upon a time, politicians were historians, researchers and authors. The second president of Israel, Izhak Ben-Zvi is a perfect example. How I wish there were statesmen like him today. Yitzhak Ben-Zvi was a historian (founder of Yad Ben-Zvi first unit -Ben-Zvi Institute), Labor Zionist leader and the second and longest-serving President of Israel. Born in Born in Czarist Russian Ukraine in 1884, he immigrated to Ottoman Jaffa in 1907. “Bar-Giora” (a Jewish self-defense organization which helped guard isolated Jewish agricultural communities), was created in his apartment in 1907. Ben-Zvi studied law at Istanbul University together with the future Israeli prime minister David Ben-Gurion (David Green). Both Yitzhak Ben-Zvi (his father’s name was Shimshelevich, but later took the name Shimshi) and Ben-Gurion adopted Hebrew names. Zvi Shimshelevich in 1952, was honored by the first Israeli Knesset with the title “Father of the State of Israel”.Also both were expelled by the Ottoman authorities during WWI and both moved to New York City till after the war. In 1918 he married Rachel Yanait. The two had two sons – Amram and Eli. Their youngest son, Eli, was killed in the War of Independence while defending Kibbutz Beit Keshet. Rachel Yanait Ben Zvi immigrated to Ottoman Jerusalem in 1908. She was among the founders of the Hebrew Gymnasia in Jerusalem and of Magen David Adom. Later she became an activist of the Haganah in Jerusalem. Ben-Zvi was later elected president of the National Council, the shadow government of the Jewish community in Mandatory Palestine. Yitzhak Ben Zvi occupied himself with the study of the history of the Land of Israel, the People of Israel, and the study of Jewish communities of the east. In the course of this research activity Ben Zvi traveled to various communities, and also helped bring the Aram Zova Crown to Israel. Ben-Zvi signed the Israeli Declaration of Independence on 14 May 1948. He served in the First and Second Knesset (Parliament) for the Mapai (Labor) party. In 1952, after the death of first President Chaim Weitzman, Ben-Zvi was elected President of Israel and continued to serve in the position until his death in1963. In 1948, Ben-Zvi headed the Institute for the Study of Oriental Jewish Communities in the Middle East, later named in his honor. Izhak Ben-Zvi founded the Ben-Zvi Institute (now part of Yad Ben-Zvi and the Hebrew University of Jerusalem) in 1947. 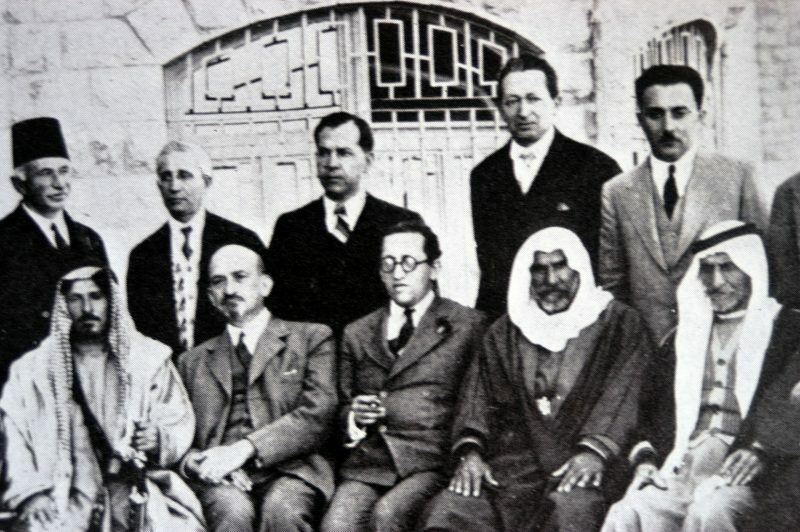 The purpose of the institute was studying documents, manuscripts and printed material relating to the history, communal life and culture of the Jewish communities under Islam and in other countries of the Middle East and Asia; initiating and supporting research on these subjects; and publishing monographs and texts reflecting the history and cultural activity of these communities. The Israel government established Yad Izhak Ben-Zvi or Yad Ben-Zvi, which includes the Ben-Zvi Institute, in 1963. During the first years of its existence its main activities focused on gathering and consolidating the archives of Itzhak and Rachel Ben-Zvi. The Yad continued publication of the writings of Itzhak Ben-Zvi. 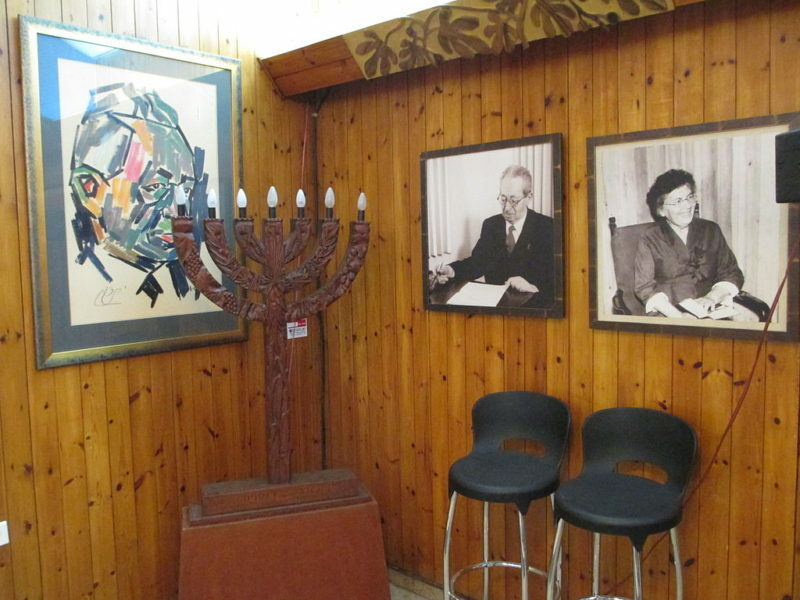 YBZ serves as the institutional memorial to Izhak Ben-Zvi, the second president of Israel. 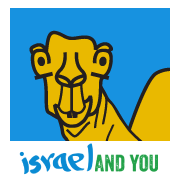 In 1969 the Knesset adopted a new law determining the aims of the Yad, which was charged with advancing research on the history of the Land of Israel and the dissemination of information about it and its various settlements and the heritage of the Jewish communities of Muslim lands. The history of Jewish communities in the East. The Center for Integration of the Oriental Jewish Heritage of the Ministry of Education and Culture supports the activities of the Institute. The Institute’s library has a rich collection of manuscripts and rare books. 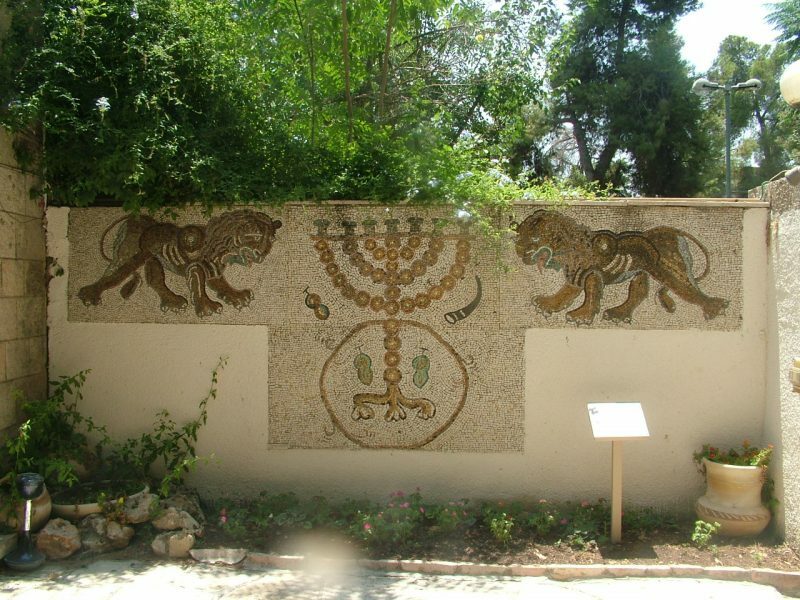 The Ben-Zvi Institute is housed in the home and offices of the Ben-Zvi and his wife, Rachel Yanait, in Jerusalem’s Rehavia neighborhood. Most of Yad Ben-Zvi activity is done at the same building that used to be the home of Ben-Zvi and his wife in Rehavia neighborhood. It houses several educational institutes, a library and a publishing house. The school for Jerusalem studies is also based in Ben-Zvi’s house. The school also trains and certifies tour guides. Ben-Zvi Institute for the Study of Jewish Communities in the East: Founded by Izhak Ben-Zvi in 1947researching the history, communal life and culture of the Jewish communities under Islam and in other countries of the Middle East and Asia. Institute for Research on Eretz Israel is a center for academic research of the Land of Israel from ancient times to the present.